If anyone could write the rule book on how to launch a makeup line flawlessly, it’s Rihanna, who introduced her Fenty Beauty collection in 2017. From her inclusive shade range to her, quite frankly, insane pigment payoff, she’s done everything right from day one, and the passion she has for her makeup brand is entirely palpable. In fact, Rihanna even takes time out of her busy schedule to film beauty tutorials. The kind that makes you want to buy every single Fenty product because they look so damn good on her. But it’s not just the makeup we’re looking at. Every one of Rihanna’s videos is a mesmerising, ASMR-like demonstration of her incredible makeup skills. Seriously, her talents are endless. So in an ode to Rihanna, her Tutorial Tuesdays and her ability to draw on the most effortless flicks (you’ll see), we’ve rounded up the four most useful pieces of advice she’s bestowed upon us. Keep scrolling for more. To follow her advice, use your fingers to feel exactly where your unique bone structure naturally dips (usually below the cheekbones and around the temples). This is where your contour should go. 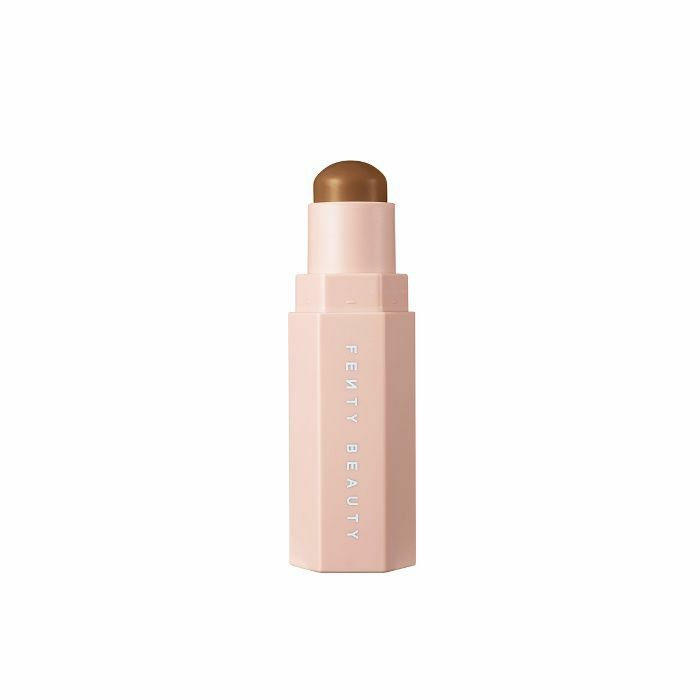 Then, use a cream stick, like Fenty Beauty Match Stix Matte Skin Stick (£21), to swipe the colour on. It’s quick, simple, and the creamy formula makes it easier to blend away mistakes. While sculpting her famous features, RiRi also pointed out two spots we often miss when contouring. The first is the hairline, where she paid close attention to blending the colour out: “It’s very important to go into the hairline,” she said, “because I hate to see that line between your forehead and your hair. It should just blend in naturally.” Next, she applied her contour in a small, neck-sculpting triangle just below her chin, because “it gives you that whole long-neck situation,” she advised. It’s no fad, either. According to E! News, Fenty Beauty’s global makeup artist, Hector Espinal, said he loves putting shimmer on “anything that’s exposed”—ears included. Whether you’re wearing your hair up or using an accessory to tuck strands behind your ears, that final dusting of highlighter might be all it takes to tie your whole look together. Why do a cool-toned or warm-toned eye when you can do both at once? 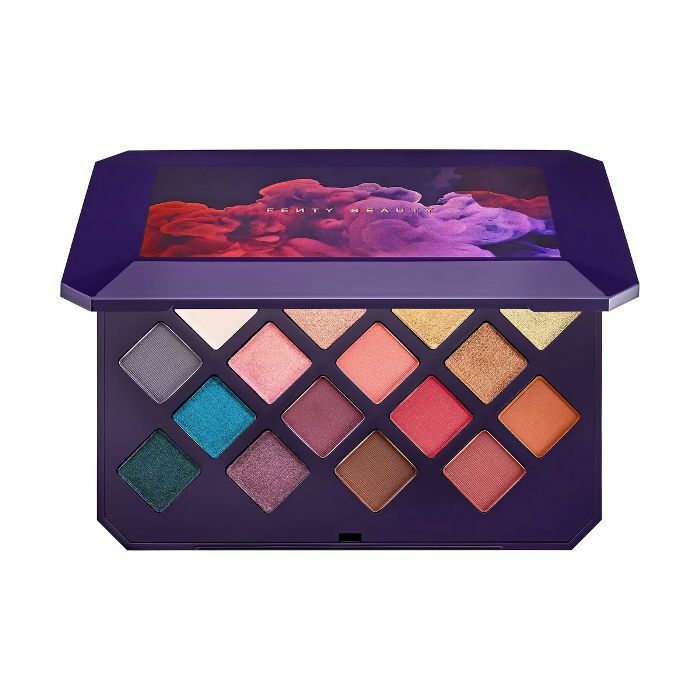 While demonstrating her “Wild Thoughts” makeup look, Rihanna revealed that she likes to start every eye look with the shade Cumin Get It from her Moroccan Spice Eye Shadow Palette (£42). It’s a warm, matte brown that you might think would only work well with copper hues or shimmering golds, but Ri shows it pairs just as perfectly with smoky silvers, navy blues and steely greys. “I find using warms and cools together is such a juxtaposition that it shows you the definition of the colour,” she explained. 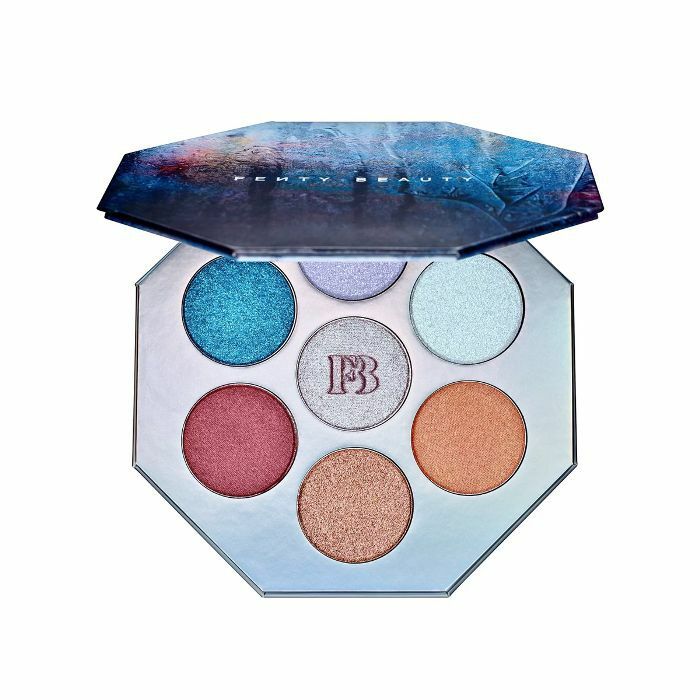 “It pops the colour if you just warm up around it.” That’s our next smoky eye sorted. The speed and precision with which Rihanna can draw on a feline flick is almost jaw-dropping. Just watch her #Uninvited tutorial if you don’t believe us. While the focus is meant to be on her midnight black, matte liquid lipstick, the eye technique she teamed the look with is what really had us hitting rewind and taking notes. Flick to 3:08 and you’ll see Ri starts at the outer corner of her eye—not in the centre of the eyelid, like so many tutorials have long told us to do. 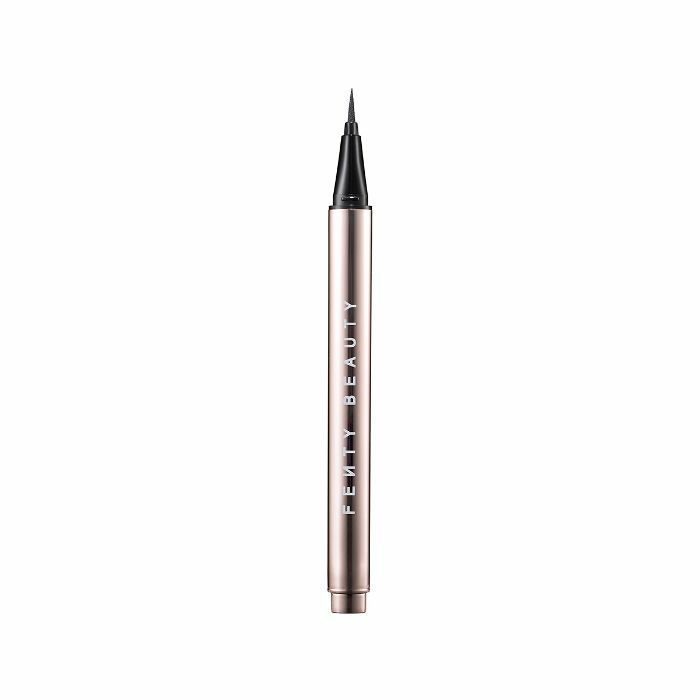 With her Flyliner Longwear Liquid Eyeliner (£17), she draws a small triangle, then glides the pen inward to the inner corner of her eye. It’s a gesture so seamless, she makes using famously finicky liquid liner look like child’s play. Next: an honest review of Fenty Stunna Lip Paint.